It must be the end of the month since we are getting all of these sneak peeks of the next color palette. 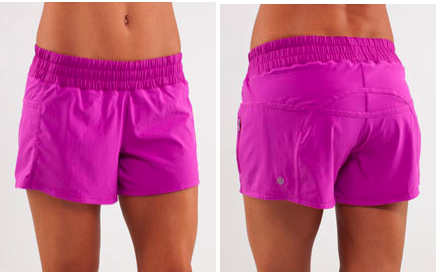 Oakridge just posted these tracker shorts in Ultraviolet and Coquitlam posted the Dazzling Speed shorts. I don’t think either store has these items in yet but they should be there on Monday. "Sneak Peek From Down Unda: Heathered Dazzle Cool Racerback Tank"